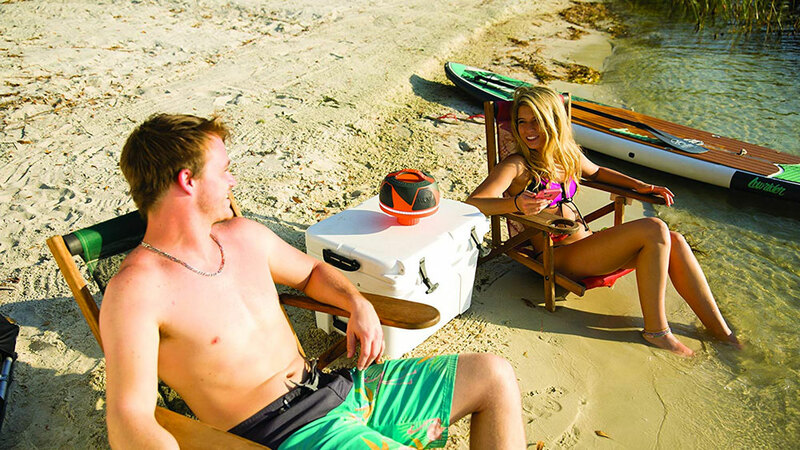 Floatable, waterproof, and shaped to fit in a cup holder. 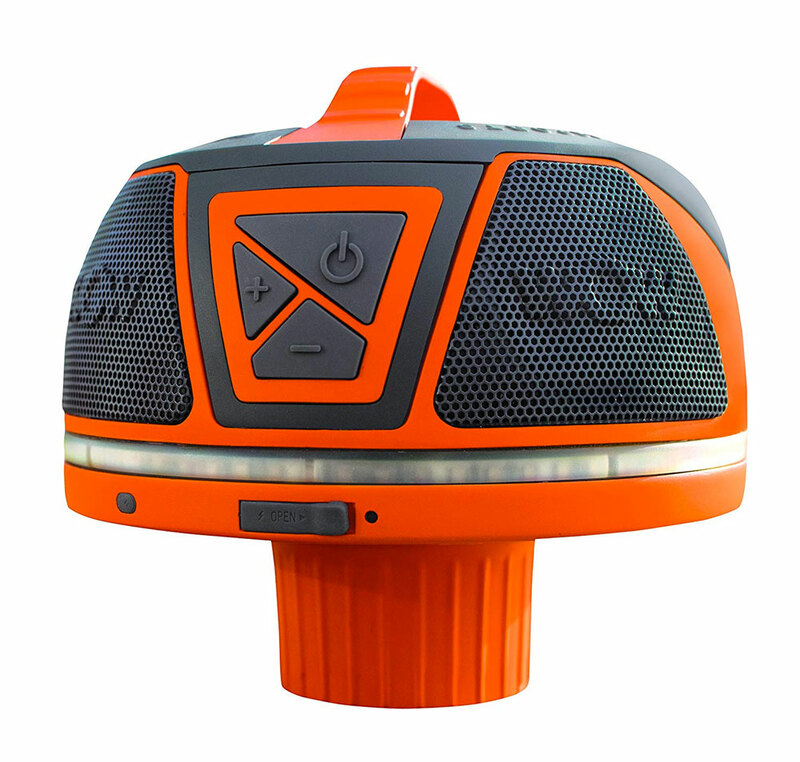 The WOW-SOUND speaker is a rugged blaster whose omnidirectional hi-fi sound and 50+ hours of all-weekend battery life are further enhanced by device's ruggedness. 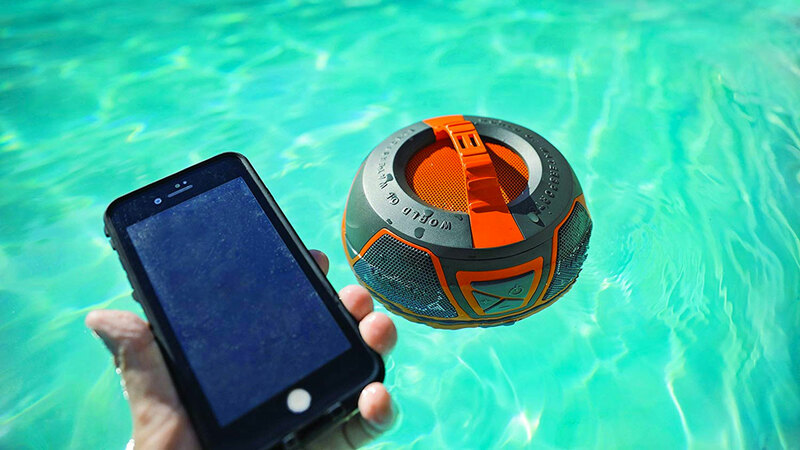 It has an IP67 rating that proofs it against water, shocks, and dust. 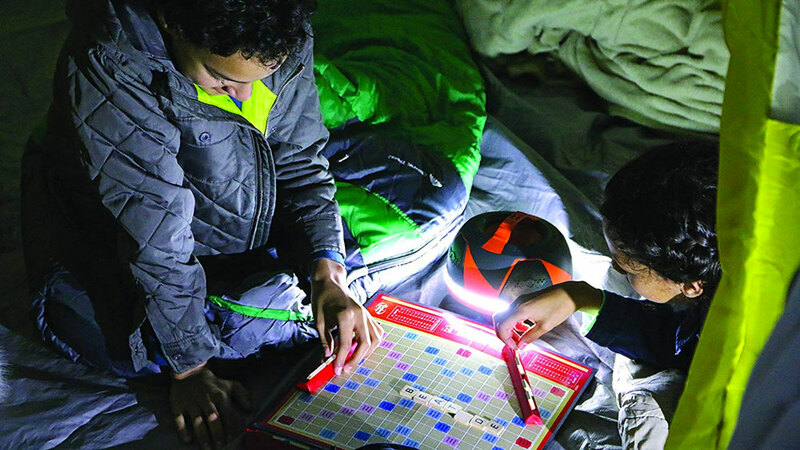 WOW-SOUND also comes with 360-degree LED lighting for nighttime at the campsite and party time in the pool, plus a perfectly-sized nub on the bottom that allows it both to stand upright on a flat surface, and nestle into the cup holder in your cooler, beach chair, kayak, or inflatable.